Mold is a type of fungus that lives almost everywhere there is moisture, oxygen, and organic matter. 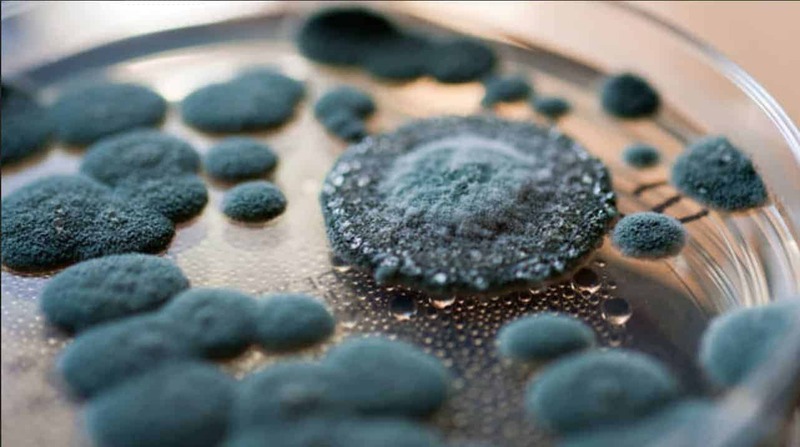 Mold plays an important role in nature as it helps decompose organic material. However, mold found indoors can cause health problems, as well as structural problems to buildings. 2. Why does mold grow in homes? Mold releases microscopic mold spores into the air. Since mold spores are airborne, all homes have mold spores in them, some more than others. Mold grows in homes because almost all homes meet the requirements of mold growth: moisture, nutrients (such as cellulose), and time. 3. Where does mold grow in homes? Mold commonly grows in areas that are prone to moisture, such as the basement and bathroom. However, mold can also grow in hidden areas of the home, such as behind walls, under the floor, in the air conditioning system, in the crawl space or in the attic. 4. When does mold become a problem? 5. Am I exposed to mold? If there is mold growing in your home, you can be exposed to it. When mold is disturbed, it releases spores into the indoor air that you breathe. Other forms of exposure include touching the mold itself or moldy items, eating moldy food and hand-to-mouth contact. 6. How does mold affect our health? Mold-sensitive individuals may exhibit allergy symptoms, such as sneezing, runny or stuffy nose, coughing, itchy eyes, wheezing, and skin irritation. Mold exposure can also trigger asthmatic symptoms that include coughing, wheezing, shortness of breath, and chest tightness. Mold can also cause irritant reactions, which are similar to those of an allergic reaction. 7. Should I test for mold? When you suspect that there is mold growing in your home, you don’t have to know which type of mold it is, but you should have it removed as soon as possible. It is not necessary to test for mold if you already notice the signs of mold growth in your home. According to the Centers for Disease Control and Prevention (CDC), sampling and culturing are not reliable in determining your health risk. 8. Can I clean up mold myself? Although it is always better to hire a certified mold removal company, you might be able to remove small patches of mold yourself (which are smaller than 10 square feet). When you’re not sure how to remove mold, or if the infested area is larger than 10 square feet, contact a qualified professional. 9. How do I clean up mold? Removing mold efficiently is harder than most people think. First, you have to wear protective clothing to reduce exposure to mold. Then, you need to isolate the mold, so that it doesn’t spread to other rooms. After that, fix the water problem and dry the affected surface. To clean up mold, scrub a mixture of household detergent and water on the surface (don’t use bleach). 10. How can I prevent mold growth in my home? Preventing mold requires fixing moisture problems in your home. Repair leaks in the walls, roof, gutters, and plumbing pipes, keep indoor humidity at 30-50% by using a dehumidifier, ventilate appliances that generate moisture, and keep the gutter system clean. Learn more mold prevention tips here. For more information and tips about mold prevention and removal, follow us on Twitter, Facebook, Google+ and to get our notifications. Contact Aurora Restoration Experts for mold remediation services and water damage repair. We can get your property back in order quickly and efficiently.